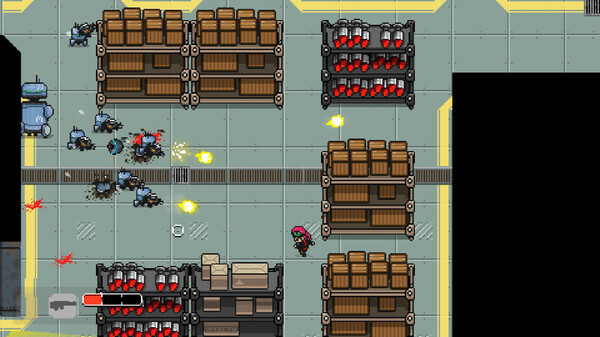 8DAYS, the frantic top-down shooter inspired by genre classics Hotline Miami and Retro City Rampage, is now available on Steam. 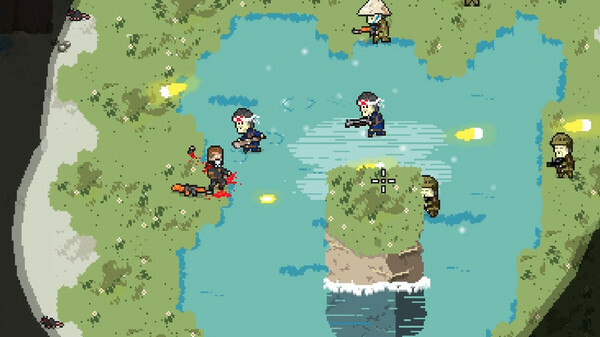 This dual-stick shooter with non-stop action has a high replay value with 2 different modes. Check out the press release below for more on this title. Published by BadLand Games and developed by Spanish studio Santa Clara Games, 8DAYS was awarded Best Gameplay at Granada Gaming Festival 2015 and nominated for the AzPlay International Festival of Independent Games 2015. 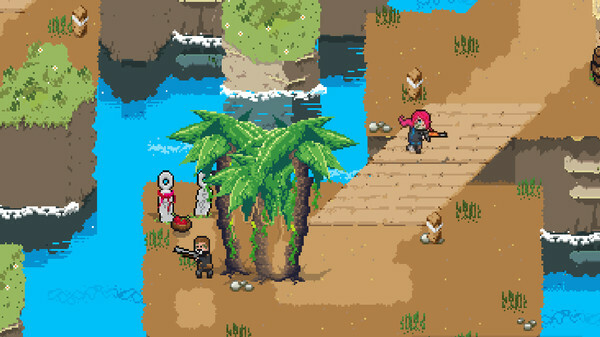 In fact, the game has already seen marked success after the release of the first “mission” on the Humble Store. In 8DAYS, players unravel closely guarded secrets while keeping the peace throughout five intense chapters — on their own or with the help of a friend in local co-op. The game also features an original soundtrack; the title song, “Wildlands,” sets the scene before players go into battle. The full length original soundtrack is now available on iTunes, Google Play, Spotify, Bandcamp, and Amazon and includes 28 tracks. G.O.D. Inc. is the world leader in the Private Military Company (PMC) sector — bringing peace to those conflict areas where its clients have strategic interests. In 8DAYS, players take on the role of Lola “Wasp” Cruz and Mike “Ghost” Doe — two of G.O.D.’s expendable mercenaries. G.O.D. and 8DAYS Magazine are modern instruments used to keep the masses under control. G.O.D. is primarily a peacekeeping force, and the 8DAYS Magazine keeps public opinion in line. High replay value: Each chapter has hidden secrets — and players can progress in different ways every time they play. 2 modes: single-player and local 2-player co-op. Solid 2D arcade mechanics mixed with 3D input controls (keyboard and mouse/dual stick gamepad). 8DAYS is now available on Steam (Windows/Mac) for $12.99. BadLand Games is an international publishing company that firmly believes in the need to support emerging talent. We are passionate gamers on a mission to find the diamonds in the rough. Working alongside talented developers, we bring captivating, outstanding games to the masses. We’re always on the lookout for enthusiastic and dedicated developers with all sorts of games, from beat ‘em ups and RPGs to puzzle games — and everything in between. To learn more about BadLand Games, please visit http://badlandgames.com. Santa Clara Games is an independent video game studio based in the beautiful city of San Sebastian, Spain. It has been ruled by two crazy guys — Alex Martin (@gravstar) and Iñaki Martinez (@ipuntom) — since 2013. To learn more about Santa Clara Games, please visit http://santaclaragames.com.